I had a great night last night. It was my first appearance at a literary festival and I hope not my last! 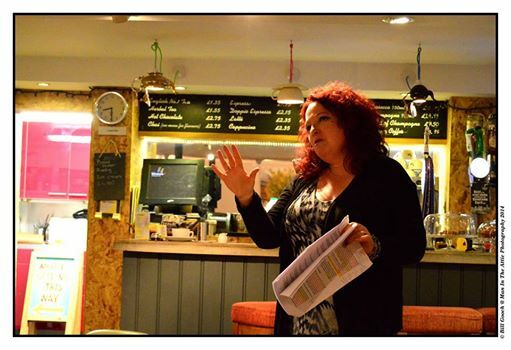 I wrote to a few festivals when I knew I was moving back to the south east proposing a talk about ‘Blurring the Lines between fact and fiction’. 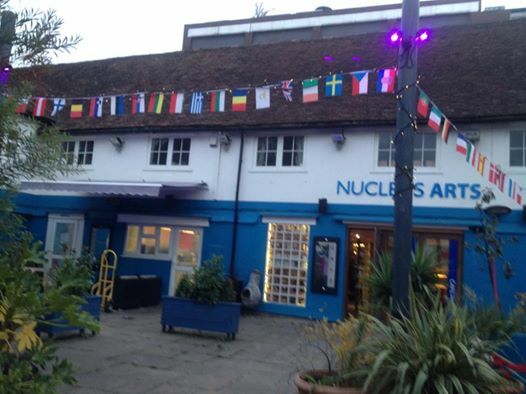 Jaye Nolan who organises the festival said yes, it fit her other talks and the rest I guess is history (literally!). I want to thank her for all her tremendous efforts and again if I was closer I would certainly like to be involved and help out. I will try to do more next year, perhaps spend the week with my brother so I can offer my support to the writers etc. Photo by Bill Gooch — official photographer for the event, thanks Bill! I hadn’t given this particular talk before, although I have talked about the subject matter a lot and it was part of my MA dissertation, how fact and fiction are not opposite ends of a spectrum but intimately woven into the fabric of how we tell stories. ‘Factual account’ — uses wiggly in the air finger thing — are often biased, spun from yarns, filled with opinion and conjecture while fiction does what it says on the tin and is created from imagination but needs fact for authenticity, right? 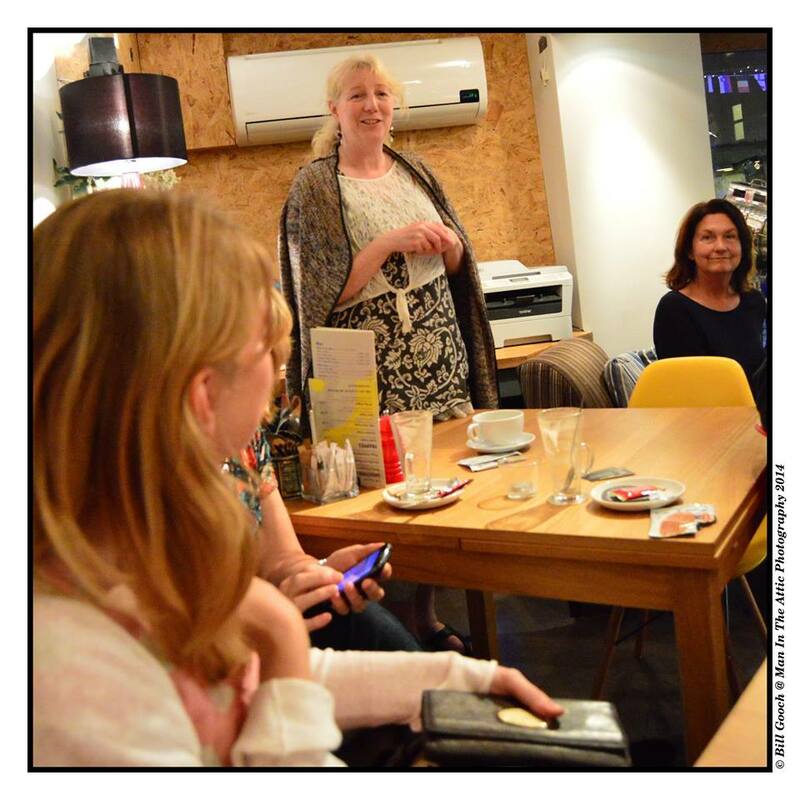 The venue was intimate and being a great fan of the coffee-shop culture (not enough of that on Canvey Island) it worked well for the talk. The first half I felt was slightly less coherent as I did jump about a little in subject, although the audience were kind and receptive and I felt enjoyed it from the great reaction in the break. The second half was more focussed and more engaging. By then everyone had relaxed, we’d chatted and everyone wanted to interact so having thrown out the odd question it then became really interactive and I think it worked well. So I think I need more of that in the first half when I do this again. I am wondering about hosting an event on Canvey — ideas machine now flowing! I loved meeting the people, some readers, some also writers and I already see friend requests and followers on Twitter, so I hope to have made some new friends! I am still buzzing from the event and the engaging conversation and I can’t wait to do it all again! So I will leave you with the last two photos from Bill Gooch, and will share some my brother took next week! Thanks again to Jaye and the festival for having me! Clearly making an important point! 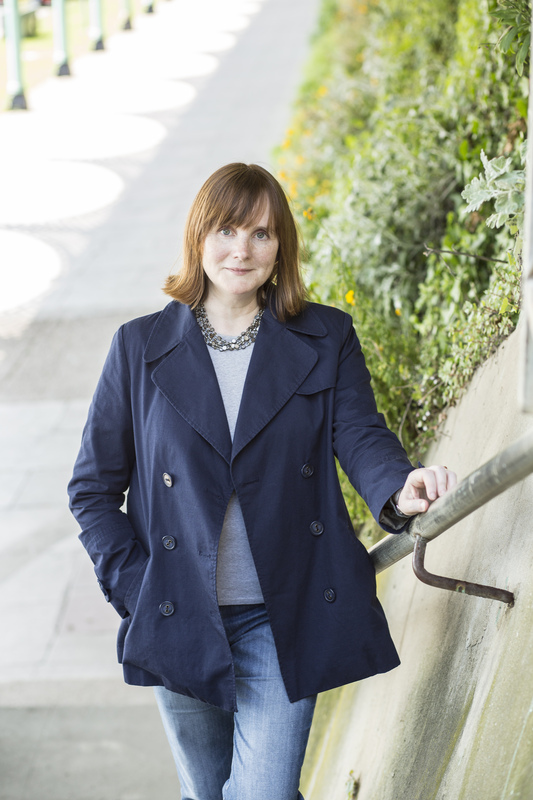 Well I have now been lining a few in the spotlights and I am delighted to welcome Sarah Hilary for the Spotlight on Crime series whose debut novel is published by Headline today! Hi Sarah, tell us something about you, have you always wanted to be a published writer? Tell us something about your path to having your first book/story published. Hi Debz, I love crime fiction and short stories, and I write both. Yes, always. And it was tough; really, properly tough; lots of rejection, some sulking, mostly just hard graft – and amazingly worth it. Someone Else’s Skin has been bought by eight countries so far, and is the first in a series. It took me about four years to write a book good enough to get signed by the UK’s top crime agent (Jane Gregory). After that, my life got immeasurably easier. My advice would be: do your research and target one or two of the agents you really want to represent you. Don’t scatter-gun. Focus on the right one(s), listen to feedback and work hard to get better at what you do. I belonged to two online writing groups where I made some really good friends who are also terrific writers. I was lucky enough to spend time in a group led by Vanessa Gebbie who was so generous with her time and support. 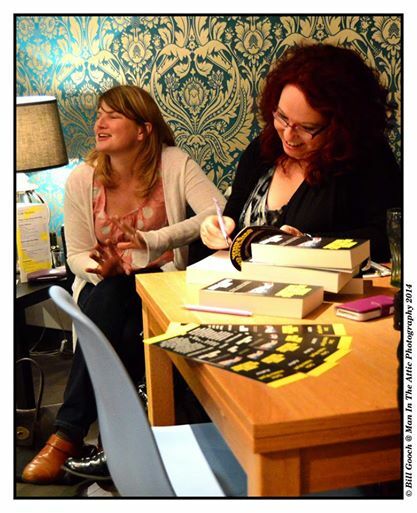 And I met Anna Britten, an amazing writer, without whose friendship I’d have given up before my big break came. I shared the first draft of Someone Else’s Skin with a couple of people whose opinion I trusted. Now I’m writing the follow-up and only sharing it with my editor at Headline and my agent, so things do change, mainly because of deadlines. Anna Britten. I phoned her up and we screamed like school girls. It’s terrific to work with an editor who loves your writing. It is challenging too, when you’ve been writing by yourself for years, to make space in your head for another person’s opinions and advice, but the result more than justifies the effort. I don’t do anything by longhand, apart from notes. I fire up the laptop and work, for a minimum of three hours a day, more if I can manage it. It sounds very dry and dull, but it’s the only way to move forward: getting black on white. My grandmother, and my mother, two of the wisest and bravest women I know. Terrific TV – I love The Bridge and The Returned. Great books – my current favourites are by Fred Vargas, Helen Dunmore, and Kate Atkinson. It’s become a compulsion. Which is great, because that’s where you want to be, as a writer: compelled to do it, to get better, never stop. I want my stories to be surprising, and moving. I’ve done a lot of blog pieces and interviews. I’m on Twitter a lot, but I enjoy that so it’s no hardship. I’m an introvert by inclination, and I do find the social side a challenge (much harder than the writing) but I absolutely see the necessity of it, and I’m lucky to be working with a great team at Headline who make it all a lot easier. Tell us about the latest published book! 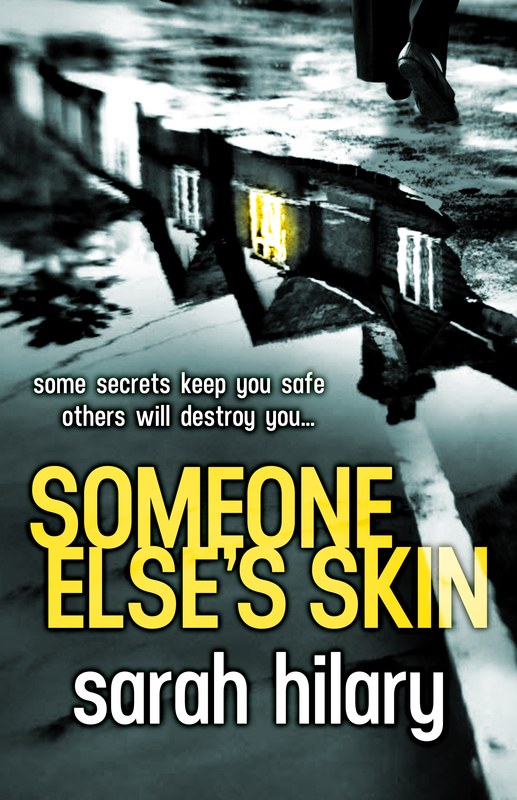 Someone Else’s Skin is a book about secrets, who keeps them and why and the cost to the people involved. It introduces DI Marnie Rome, who’s an expert at uncovering secrets, but also at keeping them. She and Noah Jake are investigating an assault when they walk into the middle of a stabbing in a women’s refuge. At first sight, it looks like cut and dried self-defence, but the ground keeps moving under them and it all leads to a very dark and dangerous place. As the song at the start of The Bridge says: “Goes back to the beginning” – it’s all about hard graft. The great thing is that the more you write, the better you write. Never lose faith with the idea that your next book/story will be your best. I have a gold tooth. Ed Belloc because he’s a rock, and Ayana Mirza because she’s brave and amazing. Only one inmate in the visitors’ room, sitting at a metal table under a ceiling strip of light. The light punched the colour out of everything. Marnie sat in the chair on the other side of the table. Both chairs, like the table, were bolted to the floor; a contingency against furniture fights. Stephen Keele had a soap-and-water smell, with a hot metallic note underneath: prison cologne. From his pallor, it was tempting to think he’d spent the last five years in his room, without daylight, but he’d always been pale. Marnie remembered meeting him for the first time, an oddly self-possessed eight-year-old, with an Old Testament angel’s face. Black curls, blue eyes, a mouth that curved ripely over small, even teeth. Incarceration hadn’t changed him, or not noticeably. He was nineteen, serving time for a double murder committed five years ago, when he was fourteen. He sat upright in the chair, his shoulders bleached by the light. Marnie wondered what the grey tracksuit was hiding. Whether, like Hope Proctor, Stephen was disguising damage done to him. Or to others, by him. He kept his hands out of sight, under the lip of the table. ‘Jeremy,’ he echoed. His voice was the same. Precise, pitched low. Not the voice of a teenage kid. More like a thirty-year-old’s. He still didn’t look at her. Stephen tilted his head to the left, as if he had difficulty hearing her. He didn’t have any difficulty that she was aware of. He’d grown another inch. He’d been a skinny eight-year-old and would probably never be fat, unless he surrendered to the carb-rich diet here. As it stood, he was slim, angular at the hip and shoulders. Still with the angelic face, ripe lips. She waited for him to take the book, or at least to acknowledge it. He did neither. ‘How are you?’ she asked, keeping the other questions at bay. Somewhere in the secure unit someone was kicking a ball; an aimless repetitive sound like skin thumping on skin. Slowly, very slowly, like a spider coming down from its web, Stephen’s eyes found her. He withdrew his hands from under the lip of the table and reached into his pocket. Each movement was calculated, calibrated. From the pocket he brought out a pair of spectacles, slipping them on. Thin gold frames emphasised the fragile bridge of his nose. A smudge of white paint had dried at the corner of the right lens. He drew her book of stories towards him with the ball of his thumb, looking over the gold-rimmed lenses at the cover. Then back at her. He’d seen her. Back then. Before he ripped her family apart. © Sarah Hilary 2014 Headline Books –can not be reproduced without the permission of the author and publisher. Thank you so much Sarah for taking the time out of your very busy schedule to drop by and step into the spotlight. I heard Sarah on the radio listening to her journey and was interested to hear this was her 4th novel, same thing happened with me and her journey has been similar to my own — except Sarah’s hard work found her an agent and a BIG publisher. I have a feeling this is the beginning of a long and successful career and the reviews have been excellent! The book it out now in paperback and Kindle is available to download I will be doing that to read on the flight to LA! Thanks Sarah. Hope you all download it! 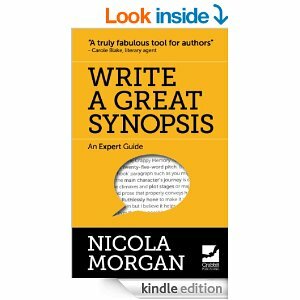 I seem, lately, to have been reading and working on a number of synopses and cover letters with my clients and often we overlook the importance of pitching our work to agents and publishers. When I first submitted about ten years ago I really was a novice. I was submitting too early a draft of the first novel for a start, and I had an empty CV. Just saying I write because it’s my passion, my dream, isn’t enough. We all do. And in many ways I was considering myself qualified enough to be a writer, a published one at that — based on having completed that draft and because I read lots of books. And as I have said here before, I also spend lots of money but would I apply to be banker based on this criteria alone? So as I learned and attended conferences, not only did my eyes open to what’s needed to create anything worthy of publication, but I also came to see that while we see writing itself as a creative art, pitching and selling books is a business. Agents and publishers are inundated with submissions and it really does take something to have the WOW factor for it to stand out — and that just means a request for a full MS, it’s only a start. 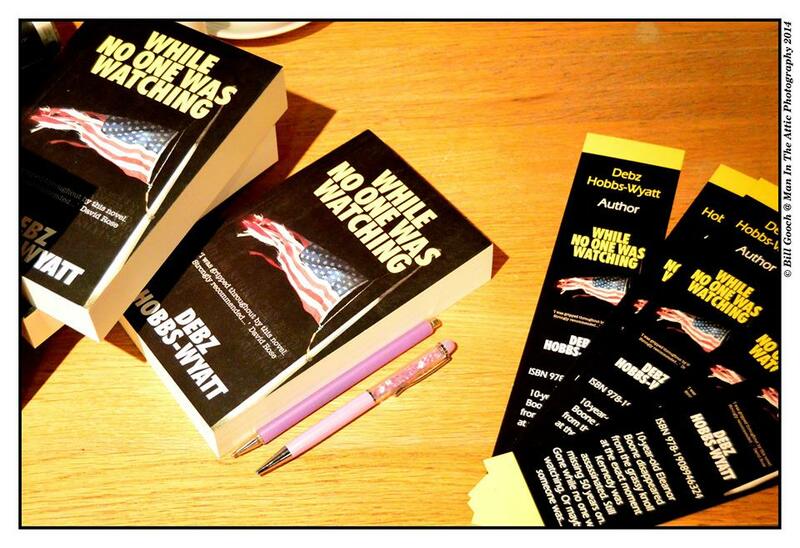 What agents and publishers want is a WOW book, we all know this. I mean if you can’t write a good copy letter and your synopsis is poor it will count against you but if the agent is able to see through that with all the other things waiting to be read, and gets to the MS and can see it is WOW then the poor pitch might be overlooked. But is this likely to happen I wonder. Agents I’ve talked to — with so much to look at — are more likely to reject based on being unimpressed by the poor pitch. So give yourself the best chance, is all I’m saying. Of course you might be the best pitcher in the world (Like Walter Johnson — baseball?) and your MS has no WOW, and I think that happens a lot too. So it’s not all about the pitch, but you do need to approach this part of the process as a business to stand the best chance of being taken seriously. So what works as a pitch? Look I speak only as a debut novelist, but I have had many requests for complete manuscripts in the process of finding my publisher and I do listen to what’s said. When I spoke with agents they said how many manuscripts are rejected because they do not follow the submission guidelines to the letter. Some people wrote emotive pitches, trying to show off their writing ability, using coloured fonts, perfumed paper, even photos of their kids — what next? 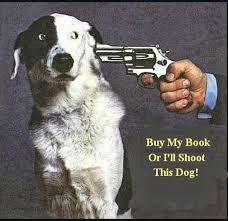 Publish this or the puppy gets it? It’s a business proposal, it’s a job application — if you would not do it for that, do not do it for your submission. Only include a full CV if you have competition wins and a publishing history or writing work experience on there, i.e. work as a freelance editor — in other words you have enough to put on there. They don’t want a CV with all your lists of unrelated jobs! Otherwise put in the cover letter I won the ABC Short Story Competition 2013 and have had one short story published and performed on the radio … etc. If you belong to a writing group tell them. Tell them what makes it clear you mean business. This is my fourth novel, I am currently working on .. but be succinct a young adult novel set in the 1960s — no more than that. I am seeking a publisher/representation for my debut/second novel title , an adult novel, 100,000 words — state genre if applicable — or it would appeal to readers of Stephen King. Please find attached/enclosed, as requested, the first three chapters of title and a one-page synopsis. Pitch the theme and premise in one to three sentences in a blurb-like manner that captures what the book explores. Eleanor Boone disappeared from the grassy knoll at the exact moment Kennedy was assassinated and is still missing fifty years on. Narrated by a local hack, part-time dad, Gary Blanchet and retired police psychic, Lydia Collins, they use real evidence from that day and the psychic’s insights but this time not looking for a man in a crowd with a gun — but a little girl. State how this is relevant or in my case how it linked with the Kennedy anniversary — so any USP but SUCCINCT. NO WAFFLES WITH THAT! Something about you — very short bio, what you’ve had published, work that’s relevant, competition wins. SHOW YOU MEAN BUSINESS — especially with an agent they want a career — not one book. 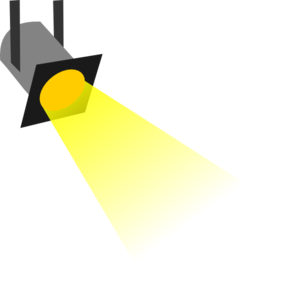 Include links to blogs, twitter, FB in the sign-off only and in small professional print not flashing neon. If they’re interested in you they might look but if your page is full of I just pitched to another freakin’ agent, what does it take for someone to like my work — er don’t include the links! This is where you also have to think about how social networking portrays you — maybe something to talk about another time? Include you life story, X Factor sob story, photos of children and pets starving if you don’t get accepted! Don’t beg, don’t say ‘Writing is my dream, my passion’ (it’s a given! ), ‘ this is all I ever wanted to do’ — show that in your successes, courses attended etc that show you mean business. Have a great weekend everyone and I hope this was helpful! Well it was about this time last year Parthian first showed an interest in my novel, a phone call on an answer machine asking if it was still available … and so started the year with great hopes that did not disappoint. It just got better! This year I just heard they are ready to do a second print run of the book. Small presses do small runs so we’re not talking thousands but it does mean it is selling, and slowly getting out there. I believe we’ve had over a thousand downloads too so it is certainly reaching beyond my sphere of friends which is what you want. Small steps and all of that. I am realistic but also an eternal optimist, bestseller, come on! 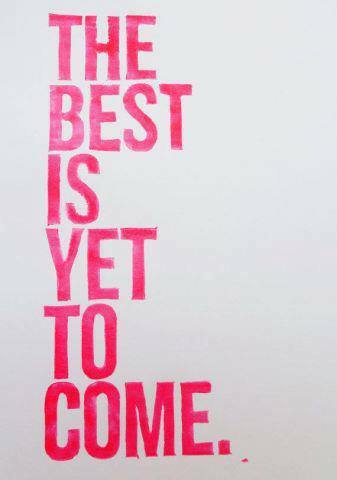 I just know 2014 will be an amazing year. For those who missed it, here’s the interview I did over on Laura Wilkinson’s blog just after Christmas. She is also enjoying great success with two novels out this year, her sequel to All of Me her saucy fiction and also her serious novel so I will have her talking about that over here when the serious one comes out! Have a great weekend and hope everyone was okay in the storms — stay safe and keep pets in and safe too. And my eBook is still 99p so get it now! While you can!! !